I LOOOOOVE sound design tools. Many do. And I’ve made no secret that I am a fan of just about everything Joe D does at Sound Freqz. I don’t personally know Mike Young but his skills are on display here as well. 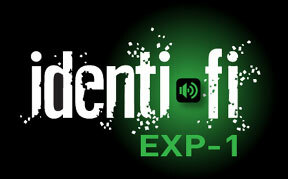 And the HERE I speak of is Expansion 1 for Identi-Fi. Go check out the link and read the fancy words but first listen to the demo. Its buyout, its nicely priced and if you got the original Identi-Fi you get a discount. Sounds great!